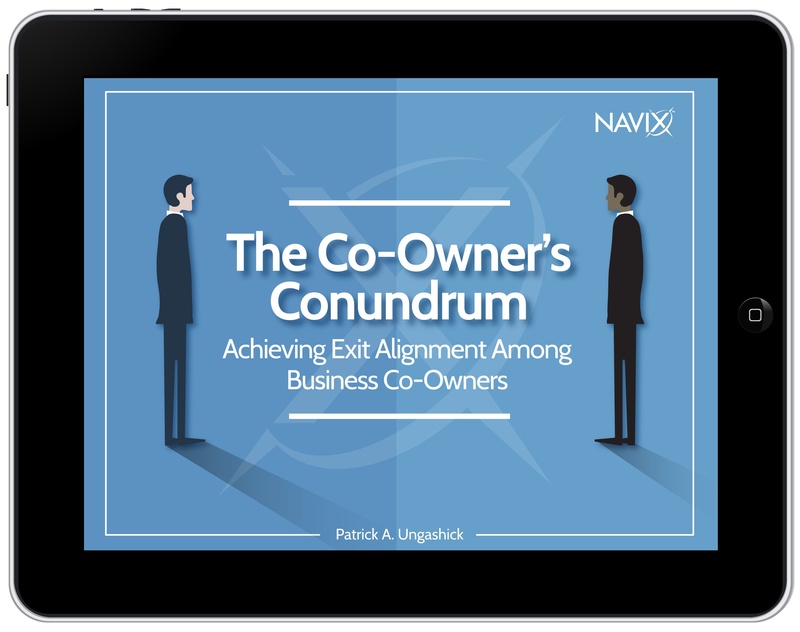 Put two or more business co-owners together, and it is virtually inevitable that they will have different exit goals. One co-owner wants to exit sooner; another wants to exit later. One wants to sell the business; another wants to pass it down to his or her children. One needs more money at exit to be happy; another needs less. One wants a quick exit; another wants to stay with the company for longer. Sometimes the different exit goals are only partially or marginally conflicting. 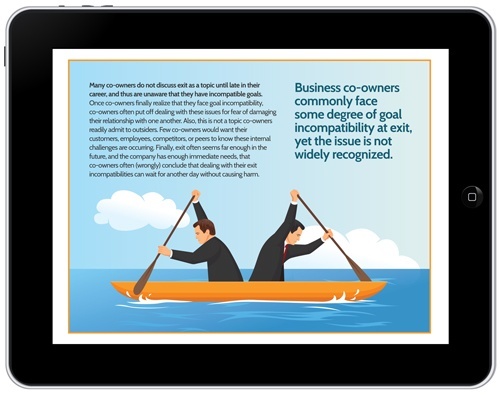 In many situations, however, the co-owners’ different exit goals are incompatible, meaning the pursuit and fulfillment of one co-owner’s goals will undermine or block another co-owner from achieving his, or her, goals. Your future deserves your present attention; if you are like most business owners, you have worked too hard and accomplished too much to surrender control over the eventual outcome. 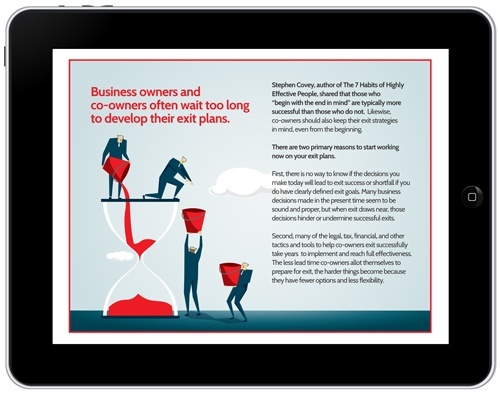 Every business owner needs an exit plan.